Age has nothing to do with me. every year, make the same resolutions? 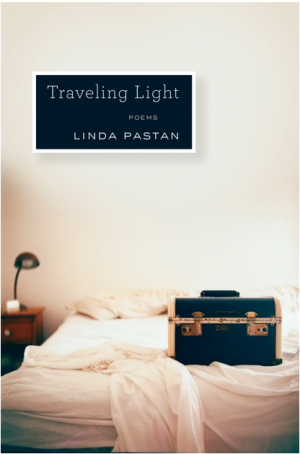 Particularly evocative and lyrical are Pastan’s Eden poems, which summon the archetypal figure of Eve to explore women’s complexities and concerns. Pastan’s Eve is not Milton’s passive and subservient Eve, but an Eve who took a lover, who questions God’s motives, and who takes credit for the Fall as the unifying narrative of humankind. And just as Pastan is given to weighing oppositions, so does her Eve embody both humankind’s most exalted qualities and most dangerous faults. This Eve is all at once sensual, astute, vain, foolhardy, wise, and vulnerable. Pastan’s “mind of spring,” the vividness and potency of her thoughts and feelings, shows through her keen powers of observation and illumination. At each turn in Traveling Light, the reader is surprised with a startling image and recalled to a profound truth previously taken for granted or neglected. Pastan attunes us to the possibilities of each given moment, to their dangers and rewards, and in doing so enriches the kinds of realities we can create. I'm not normally drawn to poetry, but you've sold me on this book. The themes of freedom and faith, sexuality and aging sound fascination. I look forward to reading it. Thanks for a great review.